Canada is seeking to add immigrants, according to the nation’s immigration ministry. Currently, approximately 20% of the nation are immigrants. In its report to Canada’s Parliament in January, Immigration, Refugees, and Citizenship Canada detailed its plan to add over 1 million immigrants by the end of 2021. Since Canada’s current population is less than 37 million residents, each year represents a 1% increase in total population. The country is facing an aging workforce as well as a declining birthrate. The government’s economic advisory council has been vocally advocating an increase in immigration to support the economy and reduce strain on the social services budget. The country needs skilled labor and is seeking to add immigrants who have significant education and technical training. Canadian Prime Minister Justin Trudeau welcomes immigrants and refugees to the nation. Trudeau’s statement via social media clearly marks Canada as a welcoming nation. His use of #WelcomeToCanada is an encouraging sign for all people seeking to enter the country. Those who want to enter and stay in Canada have many options. The nation’s immigration ministry provides an easy to use portal to submit and check the status of applications. The ministry also provides a wealth of information for immigrants to help them prepare for life in Canada. Canada is seeking to add immigrants who want to work in the nation, and the immigration ministry helps them prepare for work in Canada. The government provides a national job bank and career portal where immigrants can search for employment. Employers in Canada should expect to see an increase in the number of job seekers who are immigrants and refugees seeking to become Canadian citizens. They should also expect to see a rise in the need for pre-arrival settlement services. The immigration ministry provides a number of helpful language and integration services, classes, and resources to increase job readiness, success, and retention. Employers not currently in Canada might consider the country as a strategic location for corporate expansion. The services of an International Professional Employer Organization (PEO) may be useful to help an employer enter one of the world’s best countries and quickly test the local market. What should Employers do as Canada is Seeking to Add Immigrants? Employers in Canada should review their company’s growth plans and requirements for jobs across all levels of skill sets. They should also determine how their company’s growth plans will impact the jobs required to meet business plans and goals. Since Canada is seeking to add immigrants, employers should review their talent acquisition and management programs to ensure they align with a growing number of immigrants in their workforce. They should work with a qualified Relocation Management Company (RMC) that can help them review their relocation and visa programs encourage highly skilled new hires and transferees. Employers outside of Canada should investigate the services of an International PEO. By working with an International PEO, companies can quickly grow their international employment in Canada. RMCs can provide expert assistance to employers looking to expand their corporate presence to one of the world’s best countries by using the services of an International PEO. 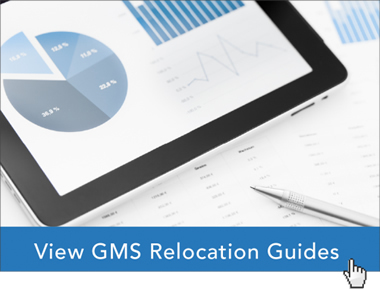 GMS’ team of global relocation experts has helped thousands of our clients develop relocation programs that attract and retain qualified employees across the world’s best countries. Our team can help your company determine how to benefit as Canada is seeking to add immigrants. Learn best practices from Global Mobility Solutions, the relocation industry and technology experts who are dedicated to keeping you informed and connected. Contact our experts online to discuss your company’s relocation and visa program needs as Canada is seeking to add immigrants, or give us a call at 800.617.1904 or 480.922.0700 today.